INR 1350. 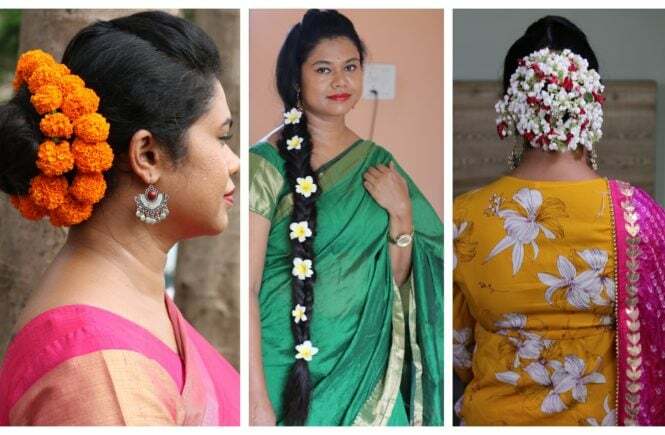 I ordered it from Nykaa following a major discount. 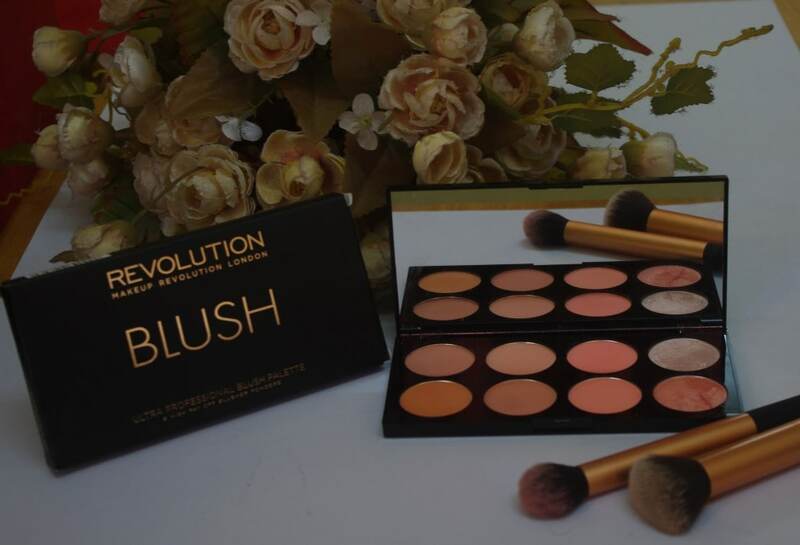 Makeup Revolution is widely available in India now through e-retailers like flipkart, jabong, amazon and makeupuprevolutionindia. 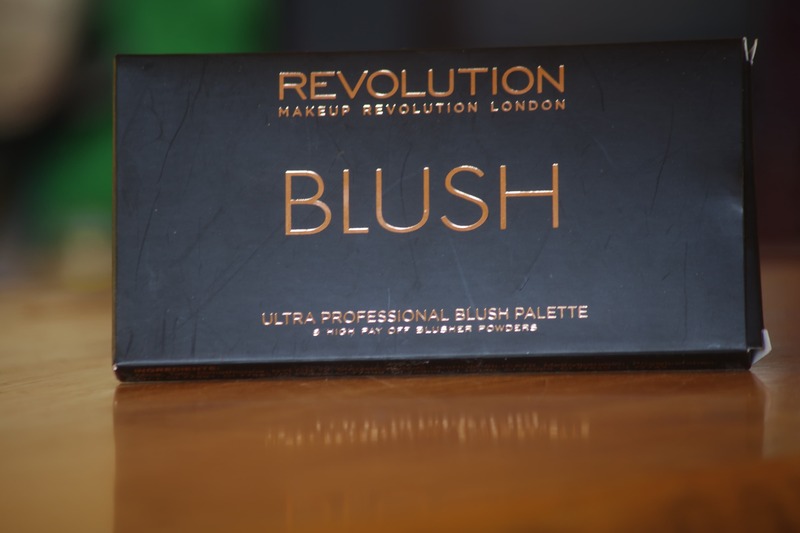 The blush palette comes in a sleek, black packaging with 8 pans containing 8 unique shades. 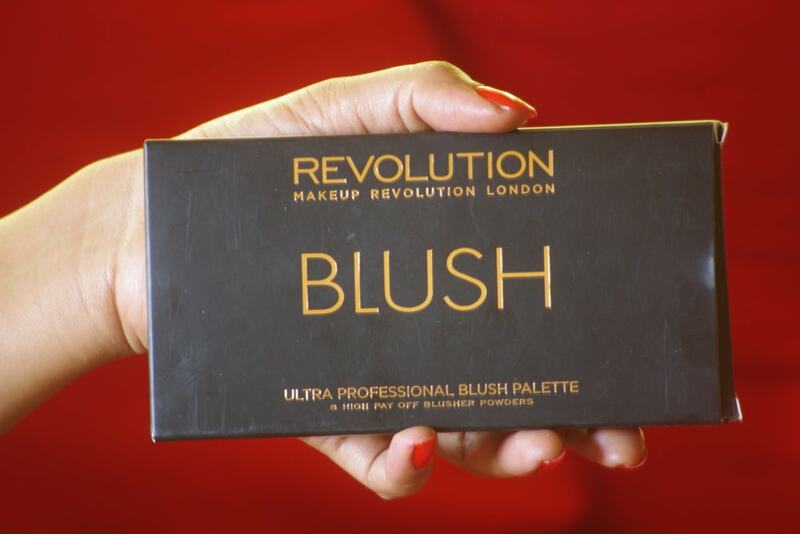 The palette has a large mirror which makes touch-ups on the go, oh so easy! The ULTRA Blush & Contour palette is perfect for the professional application desired by all of us. 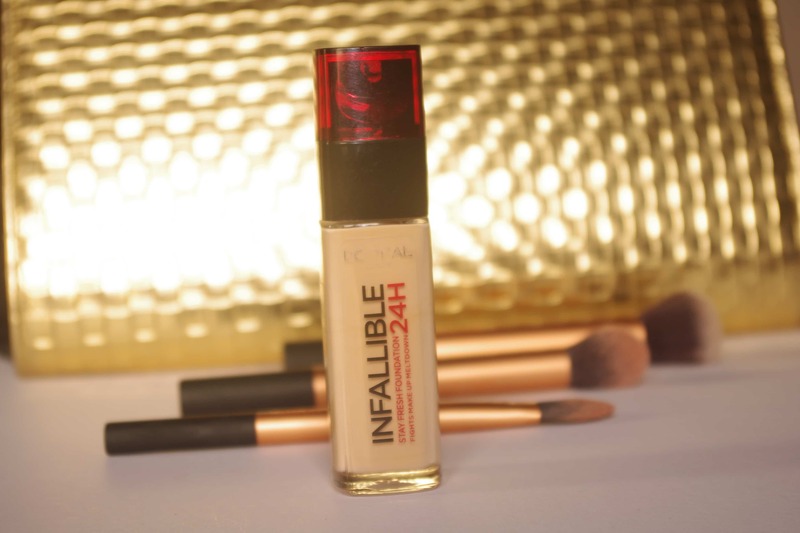 Perfect for highlighting and contouring too. 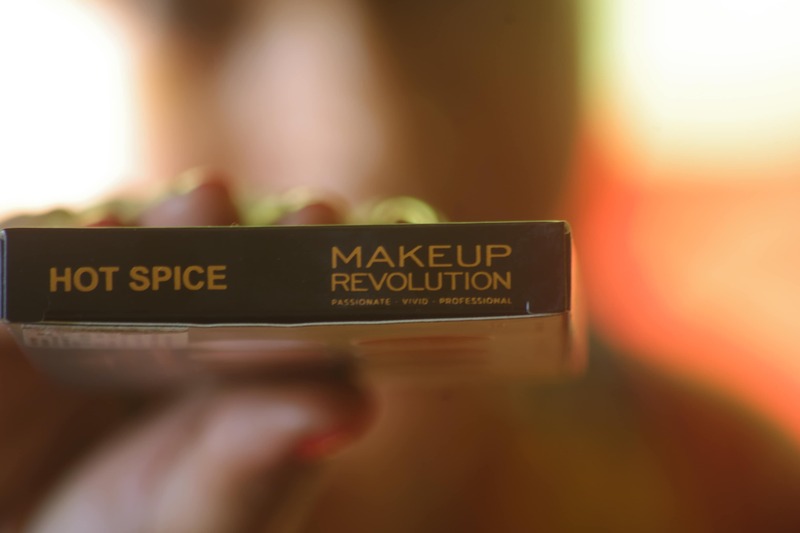 Unlike the other two Ultra Blush palettes from the same series Sugar and Spice and Golden Sugar, Hot Spice has relatively muted shades. While the previous ones have more candy floss pinks, this one has more understated corals. The shades you may wear everyday to office, college and while running errands. I would not personally prefer them for night wear as a really heavy handed application would be required for them to show up. Out of the 8 shades in Hot Spice, two are matte, three are slightly shimmery corals and the rest are cinnamon, a baked blushed and a highlighter each. The shades should have been named for better identification. However, I’m naming them from top left to below right as 1-8. The shades in the palette don’t bear any names or numbers. So, I have numbered them here for better identification. All the colours are sheer and need buildup to be seen on camera. Colour 1– It is a metallic pink blush with a hint of shimmer in it. On layering it appears quite natural on medium skin. Good for day wear. Colour 2. It a matte pink with smooth finish. Can double up as a soft eyeshadow transition shade. Colour 3. Coral pink with shimmers. 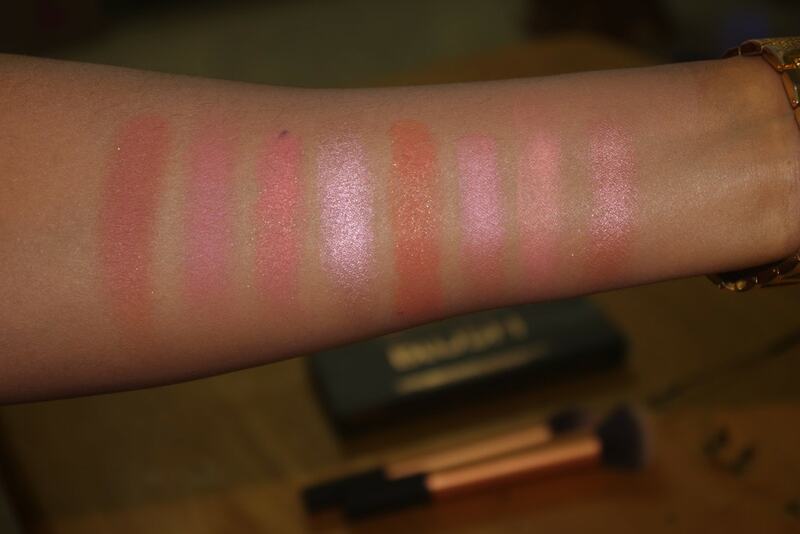 On cheeks, this shade comes out the brightest of all in the palette. Colour 4. In plain view this shade appears to be a pale white highlighter. However, on application it has a bright muave undertone that looks flattering on cheekbones and other high points of the face. Colour 5. This is touted as the ‘bronzer’ in the palette, however, this cinnamon-coral shade with quite a lot of shimmer is more suited as blush on dusky beauties. Colour 6. The second matte shade in the palette, very similar to the first one. Colour 7. A frosty pink blush with no visible shimmer yet high on shine. Colour 8. My favourite! The rosy pink baked blush is very pretty to look at! Loaded with colour and shimmer, this could be worn in the evening even without an illuminator as it is glittery enough. Could be applied at the inner corner of eyes as a soft pink dust. The colours are subdued and are very sheer. At the first look, I was left wondering if they will show up on my tanned Indian skin. To confirm my apprehension, they required a solid 2-3 layer build up to actually show up. For camera, the layering up should be even stronger given to the lesser pigmentation. 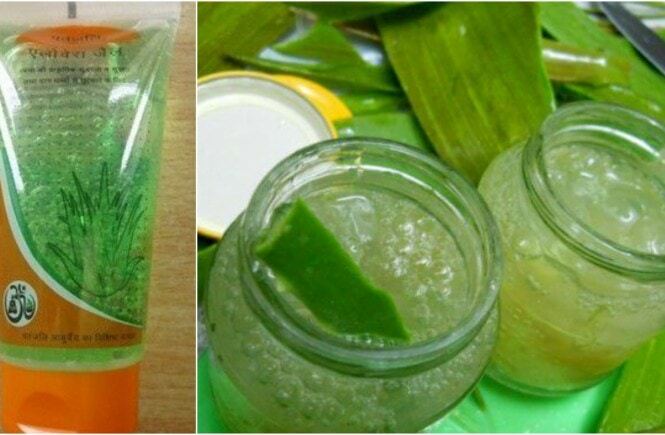 Even the highlighter is very sheer and appears flaky if you pack on too much. A decent palette for beginners may be. 2. Packaging is quite handy. Mirror is a bonus. 3. 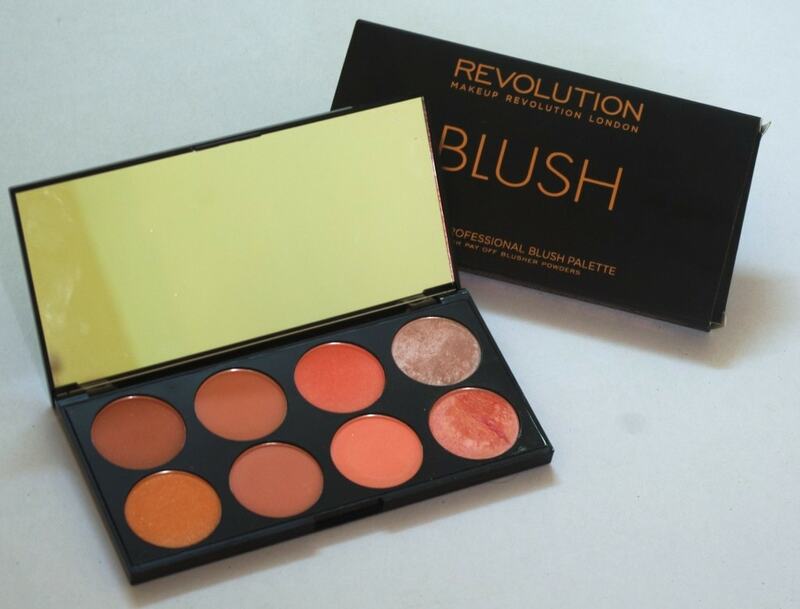 Compact and travel friendly, especially, if you don’t bother to carry many blushes, illuminators separately. 4. The baked blush is a dupe for high-end illuminator/blush. 1.Not much pigmented. Needs layering on brown skin to show. 2.Too sheer, not for night makeup. The highlighter doesn’t show on dark Indian skin in 1 or 2 applications. On packing too much, it looks flaky. 3.I wish, the cinnamon shade had less shimmer. So, it would have doubled-up as a contouring product.